We typically use UPS for Next Day Shipping. On occasion, we may use Fedex depending on shipping requirements/destinations. P.O. Box delivery is not available. APO/FPO delivery is not available. Saturday delivery is not available. Hawaii & Alaska orders: add $10.00 to posted shipping prices. Shipping may be 1-2 days depending on zip code. Order processing time is 1 business day depending on product availability. Orders are processed Monday - Friday (not including holidays). Orders received before 2:00pm Eastern Time will be shipped the same day. Orders received after 2:00pm will be shipped the next business day. Orders received on Saturday and Sunday will be shipped on the following Monday. Shipping time is next business day after ship date and is guaranteed (as outlined by UPS, Saturday and Sunday do not count as shipping days. Exceptions: Holidays will push the delivery by about one business day. 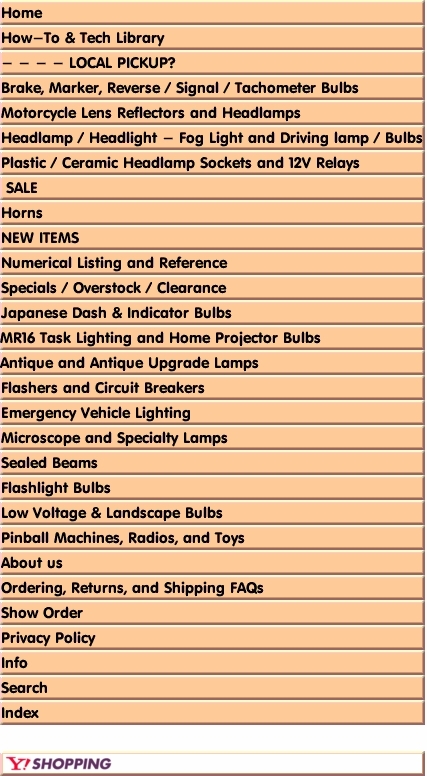 Please see terms for orders shipping to Alaska, Hawaii, Puerto Rico, PO Boxes, APO/FPOs. Orders must be received by 9:00am PST Monday-Friday for same day shipping. All other listed terms and conditions apply. Orders are NOT delivered on Saturday, Sunday or most major holidays.